Posted June 12, 2018 by Amy Kawa & filed under Uncategorized. Bye-bye #9! 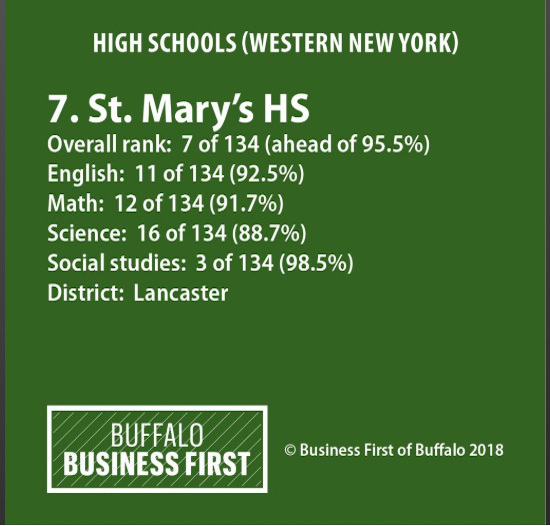 In this year’s Buffalo Business First’s rankings of 134 high schools in Western New York, St. Mary’s is pleased to announce we have jumped two spots to #7 on the list! The hard work and dedication of our administration, faculty, staff, and students is so inspiring.